In the Dinosaur Train Make A Match game, Buddy and his friends sharpen children’s memory skills in this special matching game that features a Buddy figure! To begin play, 48 game cards featuring favorite Dinosaurs from Dinosaur Train are shuffled and laid face down in 6 rows of 8 cards each. Players take turns turning over any two cards—so all players can see them—to find a matching pair. The game features “Take Buddy” cards, “Wild Cards” and “Lose a Pair” cards to add to the excitement. Players count their matching card sets at the end and add extra points for the player holding Buddy to determine who wins. The Dinosaur Train Make A Match Game is for 2 to 4 players, ages 3 to 6, and is available at Toys “R” Us stores nationwide for just $9.99. The Jim Henson Company’s exclusive Dinosaur Train Valentine’s Day cards were created exclusively for Valentine’s Day 2011 and you can download them for FREE! And for more Valentine’s Day fun, check out the new Flying with Buddy game that reinforces counting skills as Buddy collects seashells. Players use the mouse to control the flight of Buddy, Don and Tiny. Move the mouse UP and Buddy raises his legs, and Don and Tiny fly higher. Move the mouse DOWN and Don and Tiny fly lower, and Buddy reaches to grab the shells on the ground. After one minute of gameplay the characters return to their nest to count the treasures they collected. Check it out for FREE! One of my readers is going to win the Dinosaur Train Make A Match game from Pressman Toy! Follow me on Twitter and tweet the giveaway. You can tweet once per day. Leave me the link to your tweet. Follow Pressman Toy on Twitter. Like Pressman Toy on Facebook. Join the Simply Stacie Blog Frog Community. Add any of my event buttons. Leave one comment per button. Vote for Simply Stacie on Picket Fence Blogs. You can do this once per day. 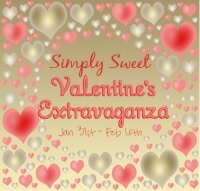 Giveaway ends on February 22, 2011 at 11:59 pm EST. The winner will be selected by random.org and notified by email and will have 48 hours to reply back before a new winner is selected. Good Luck! I would love to win this game for my daughter. She is now old enough for our family game night and this game is perfect for her age. My son loves Dinosaur Train. Especially Buddy. I am a fan of Pressman Toys via Facebook as Jill Myrick.